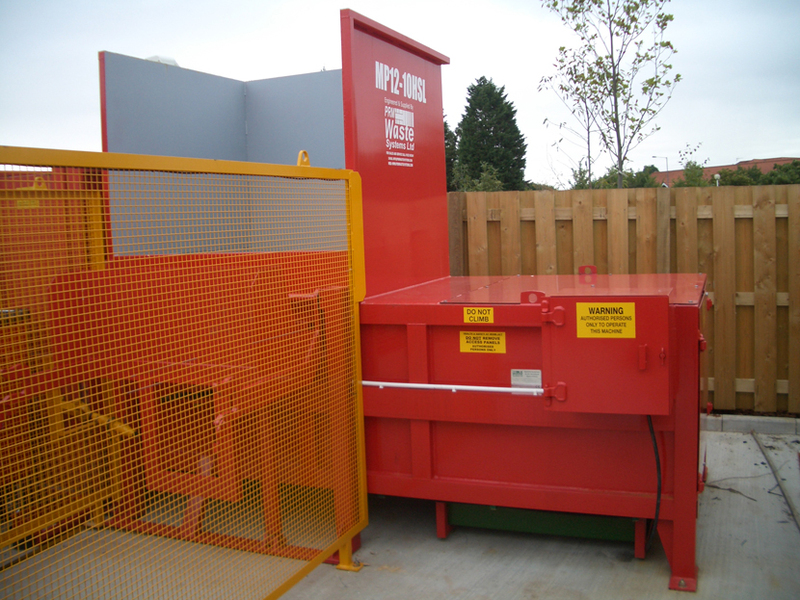 The MP range of static compactors have been designed specifically to provide both volume reduction and control of a wide variety of recyclable and non recyclable waste products. The units are particularly suitable for use with waste that has a predominantly dry content e.g:. cardboard, shrink wrap, strapping, broken pallets, floor sweepings and trim waste etc. The operational method of these compactors make them ideal for incorporation into a variety of complete waste handling systems. Standard specification includes auto pinning facility, cycle selector and an internal or external power pack to suit the application.